You may have seen coverage in the press recently regarding Estée Lauder Companies' court case against Target Australia, over the sale of counterfeit cosmetic products. This court case has now ended with Target being ordered to run corrective advertising to inform consumers about counterfeit products sold in Target between February and August 2012. Counterfeit cosmetics, skincare and fragrance products are poor quality fake products and they do not meet the safety standards that we strictly adhere to. Fake products may pose a risk to the health of consumers using them and therefore, in the interests of safety, we will not hesitate to take legal action against parties found to be producing, supplying and retailing these counterfeit products. Consumers should be wary of purchasing their cosmetics, fragrance and skincare products from non-authorised retailers for many reasons. The products sold at low-cost by non-authorised retailers are "re-sold" products and, whilst these products can be authentic, they are often out of date and have not been stored in optimal conditions. These factors can affect the product's formulation, meaning they will not provide the promised results or they can be harmful when applied to the skin. 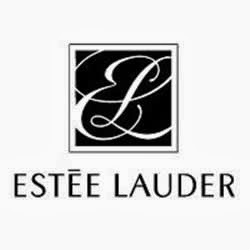 Estée Lauder Companies is committed to providing the highest quality, on-trend products to our consumers across the globe. We take this commitment seriously and are unwavering in our effort to provide consumers with products that are safe and of superior quality. To be certain that the cosmetics, skincare and fragrance products you are buying are authentic and meet the quality and safety standards that we promise, we recommend that you shop only at Estée Lauder authorised retailers. In Australia, our authorised retailers include Myer, David Jones, our Estée Lauder website and selected premium pharmacies. To locate your nearest authorised retailer, please call our toll-free customer care line at 1800 061 326 or consult the following link http://www.esteelauder.com.au/locator/index.tmpl. We wish to thank all of our loyal consumers for your ongoing support.